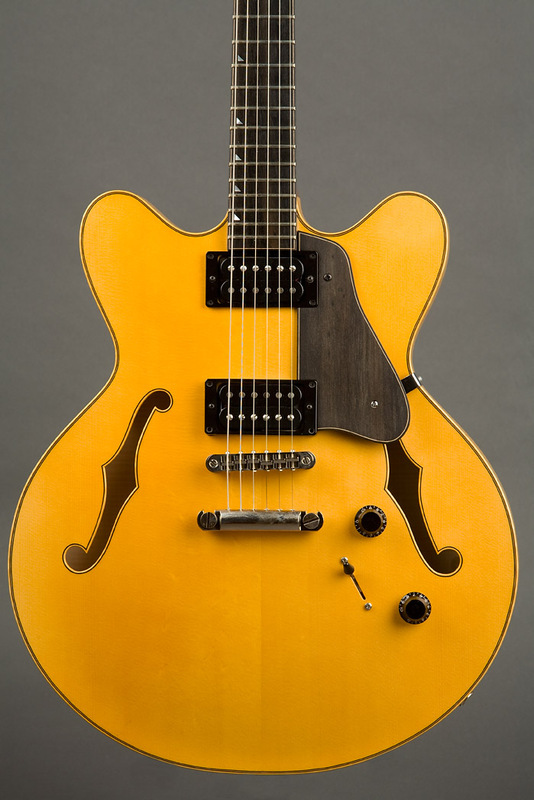 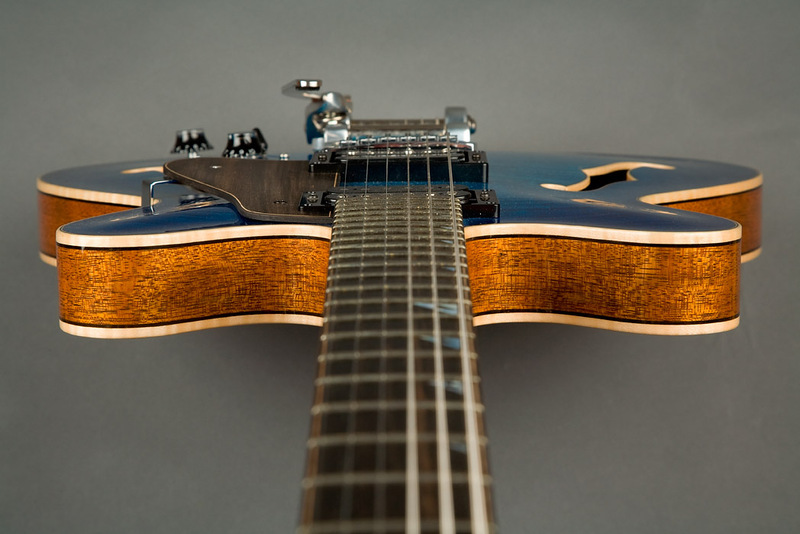 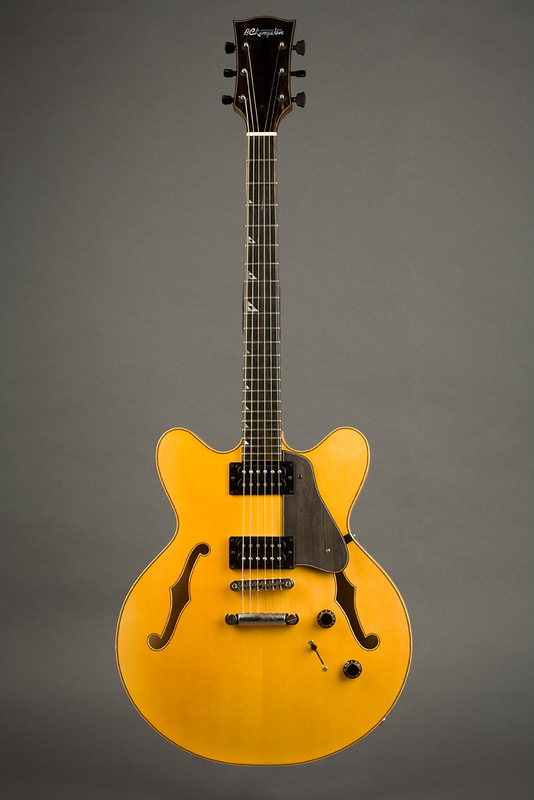 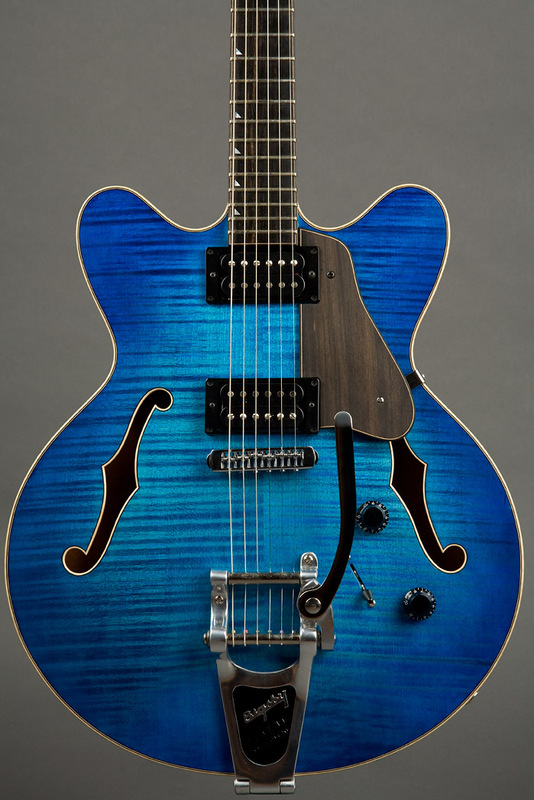 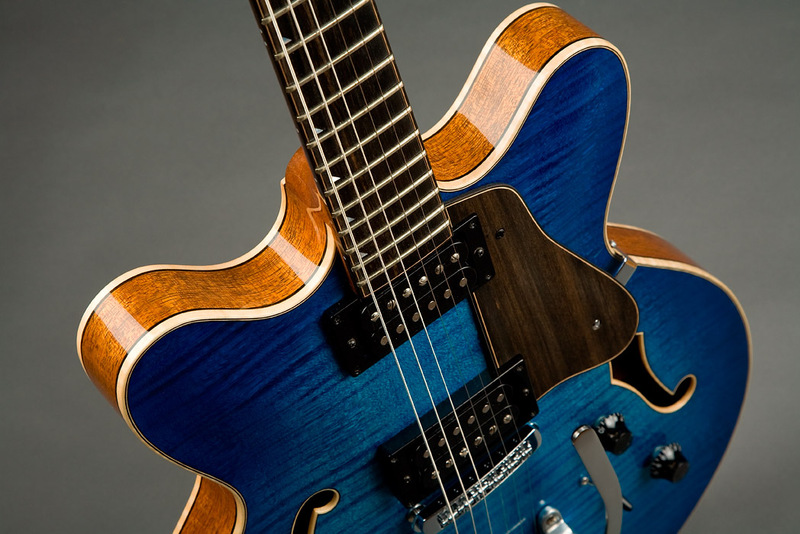 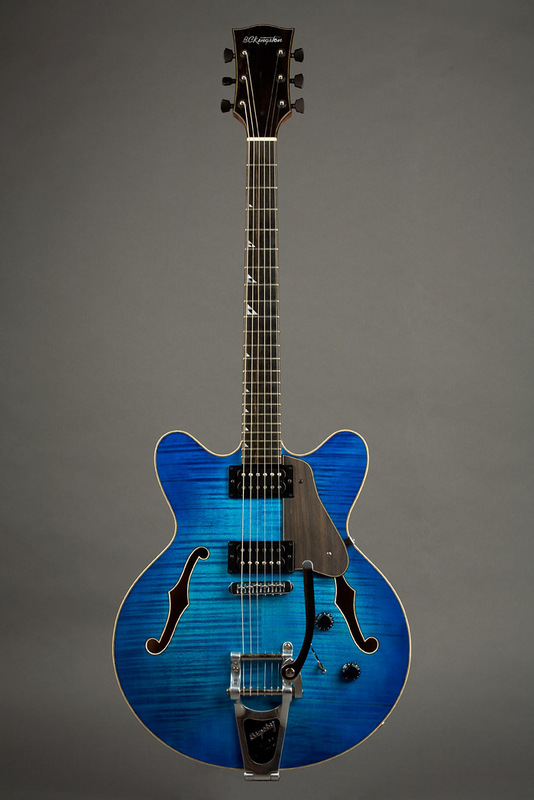 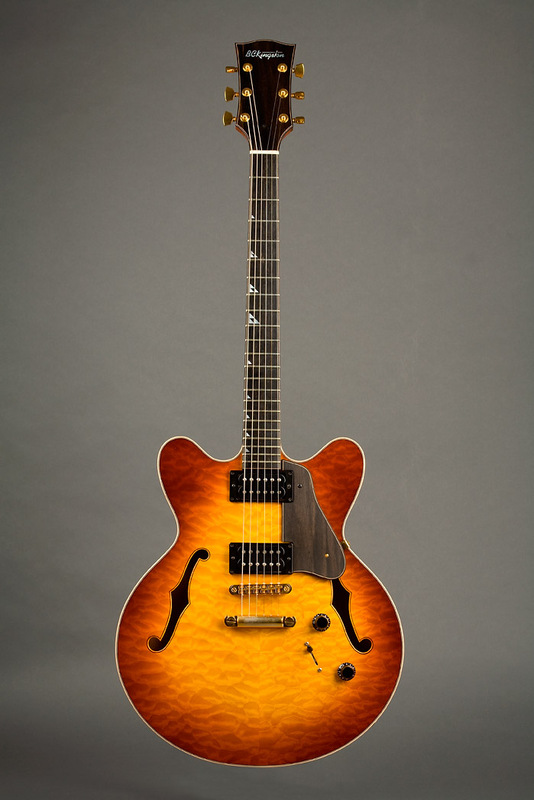 "....I play a lot of Jazz and Smooth Jazz.Your guitar is the perfect instrument for me.I used to take three different guitars on a gig,but now,I only play the Kingston Fusion and it works for everything." 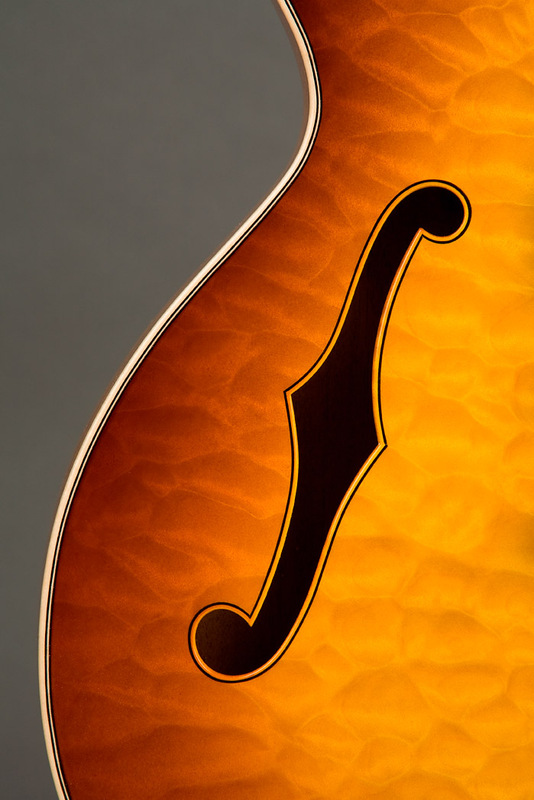 1) "Quilt" - Premium sunburst quilted maple top with mahogany back, sides, centerblock and neck. 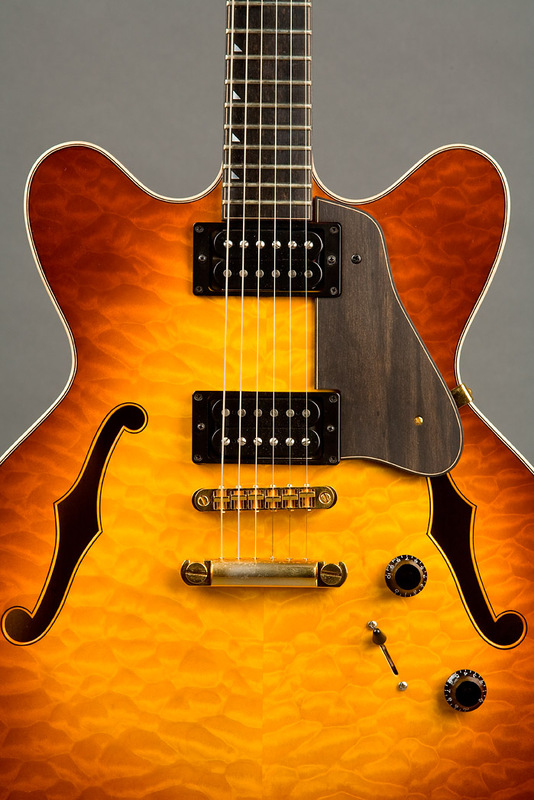 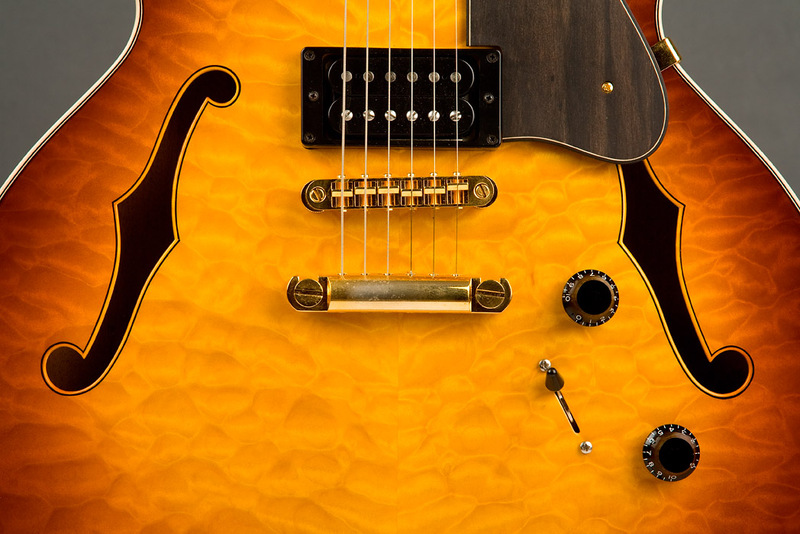 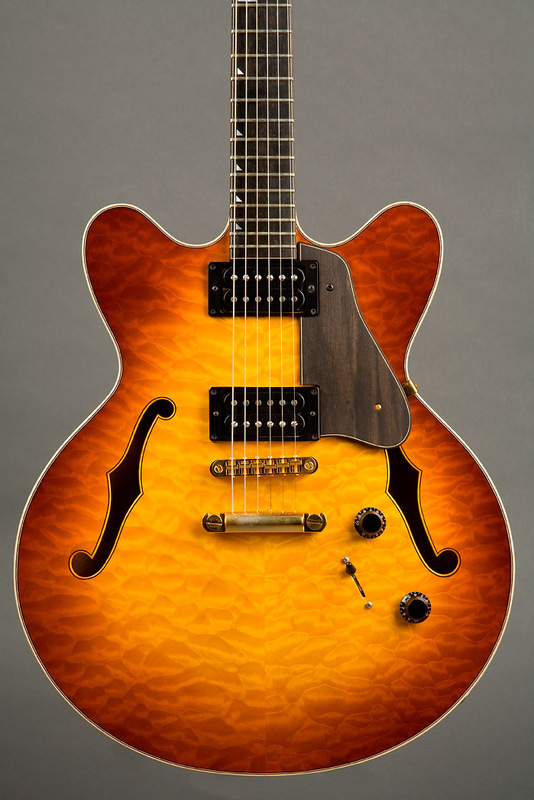 2) "Flame" - Premium sunburst European curly maple top with mahogany back, sides, centerblock and neck. 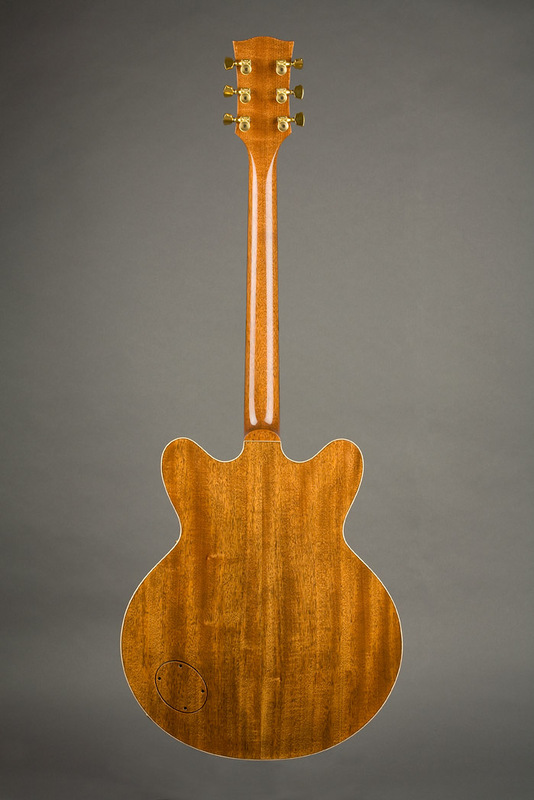 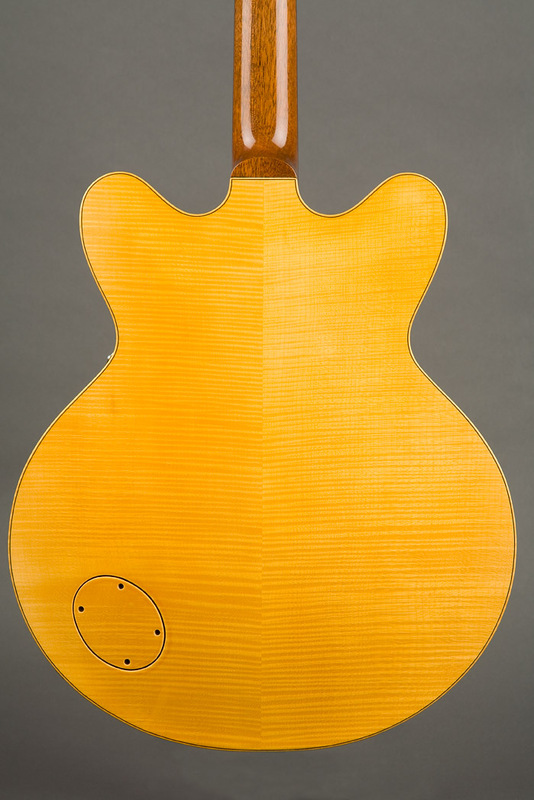 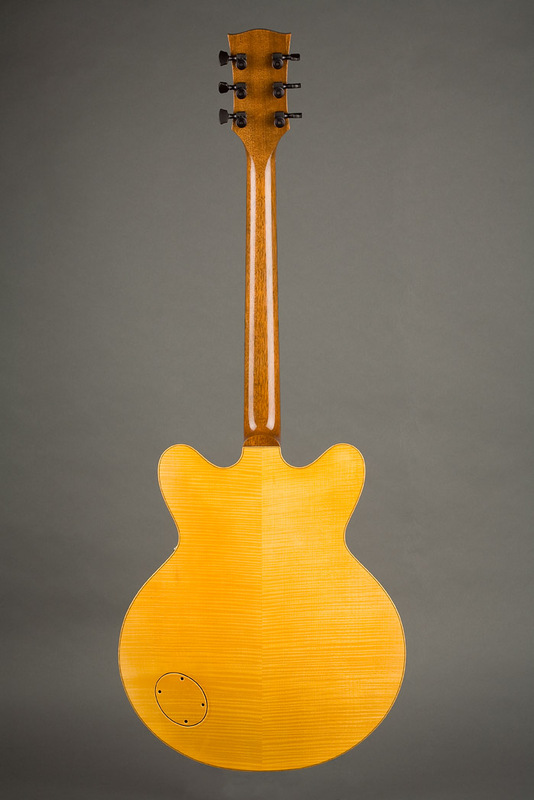 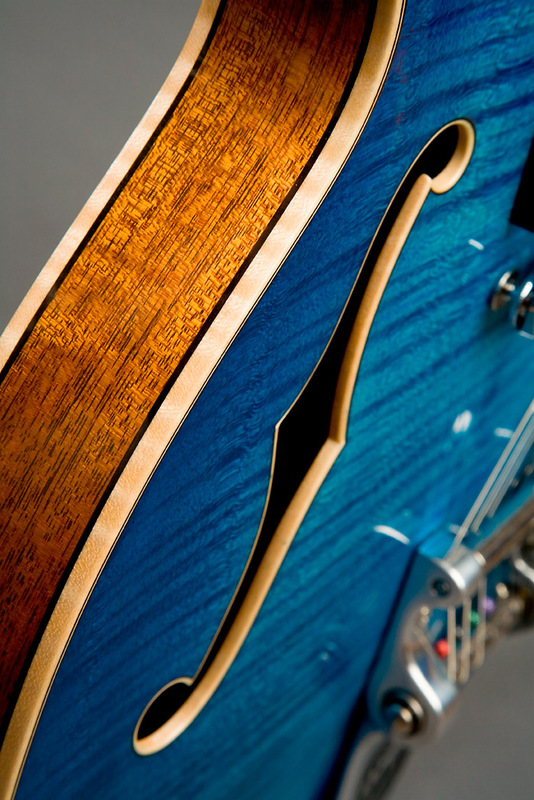 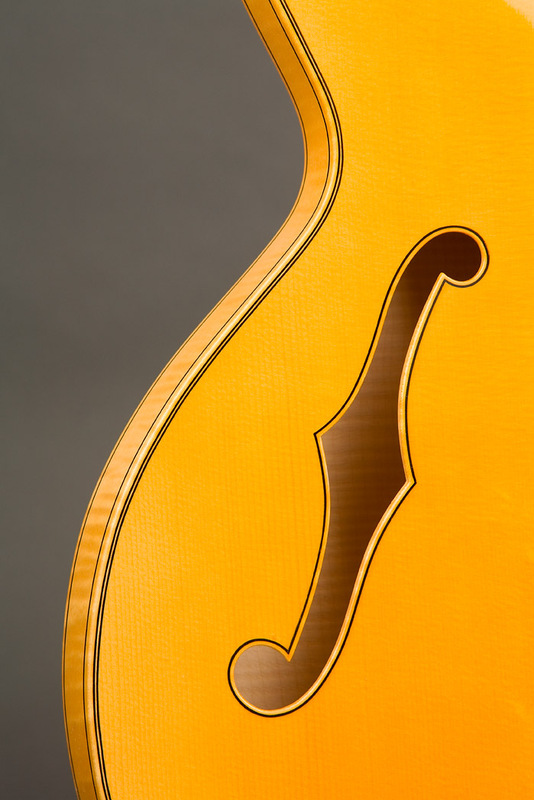 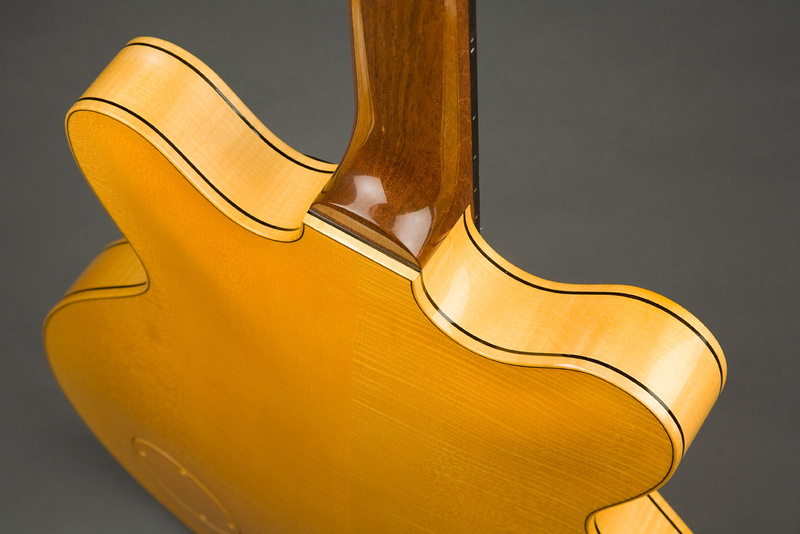 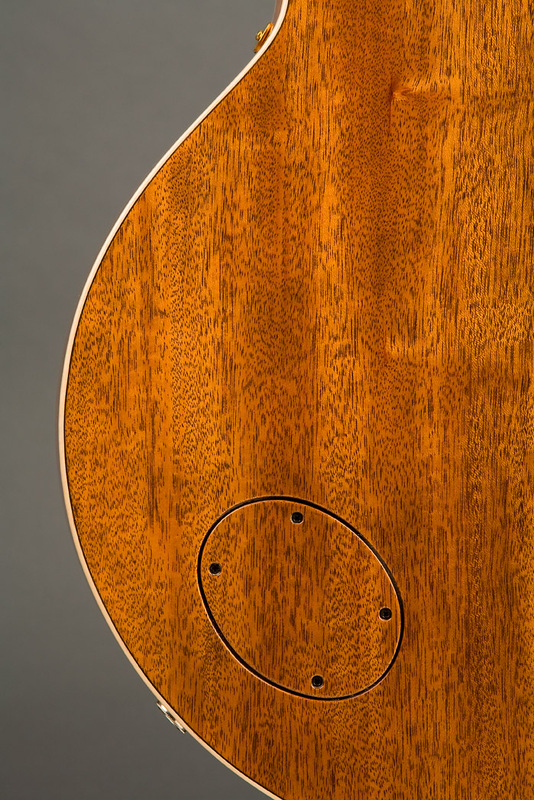 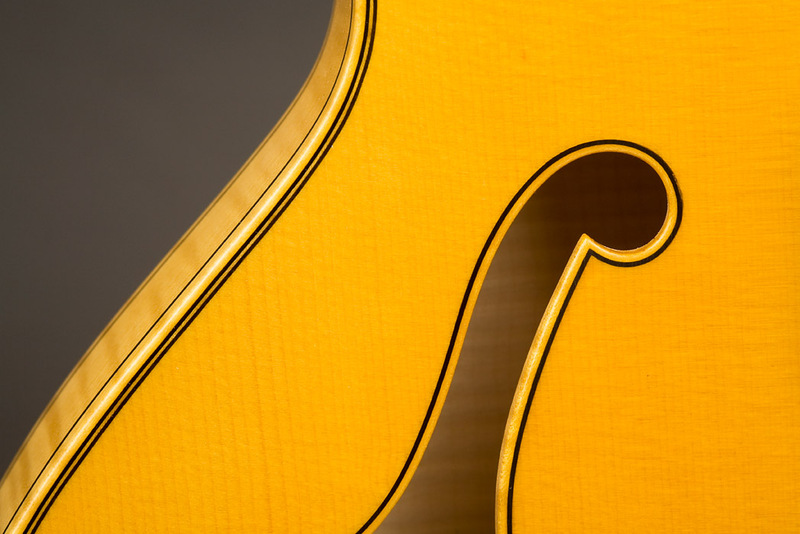 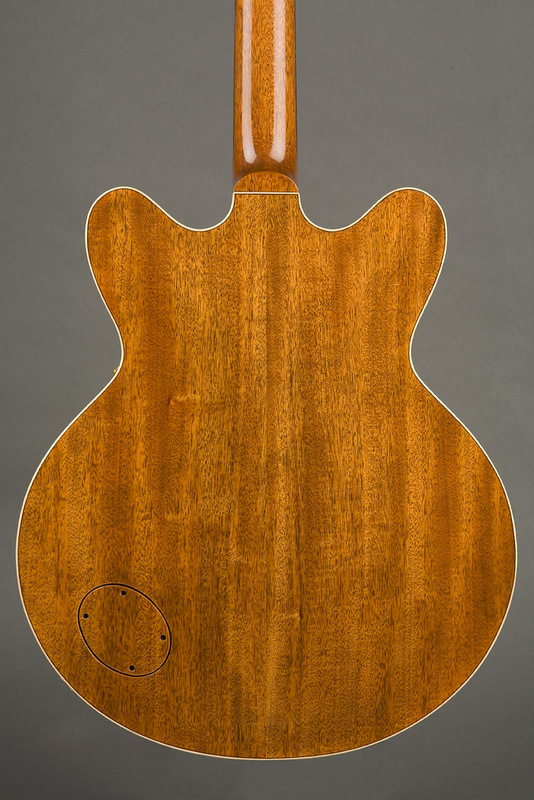 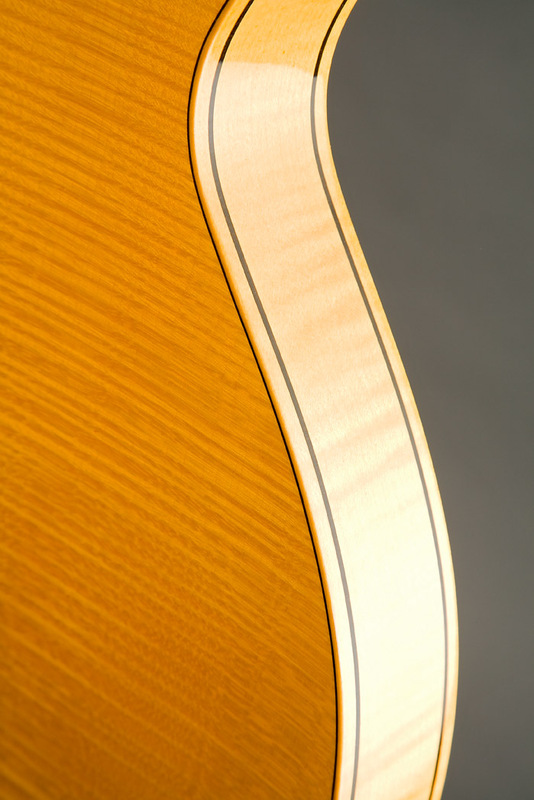 3) "Spruce" - Premium Sitka spruce top with premium European curly maple back and sides. 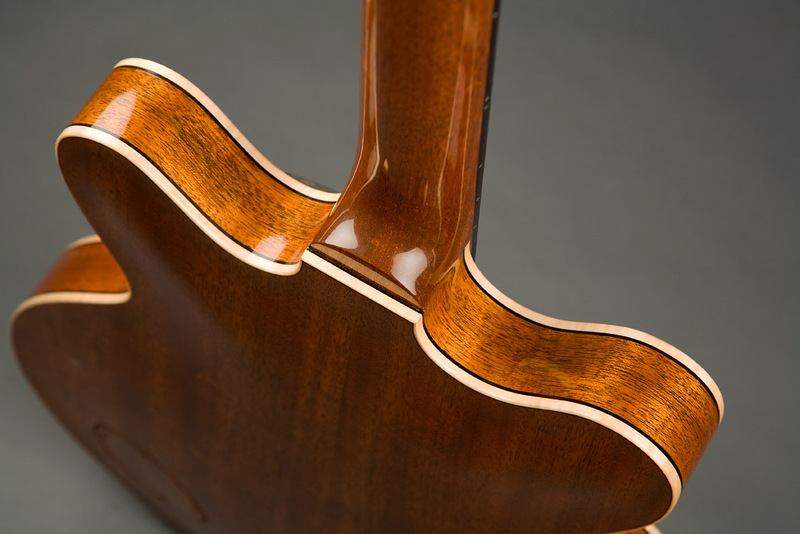 Center block is mahogany and a mahogany neck. 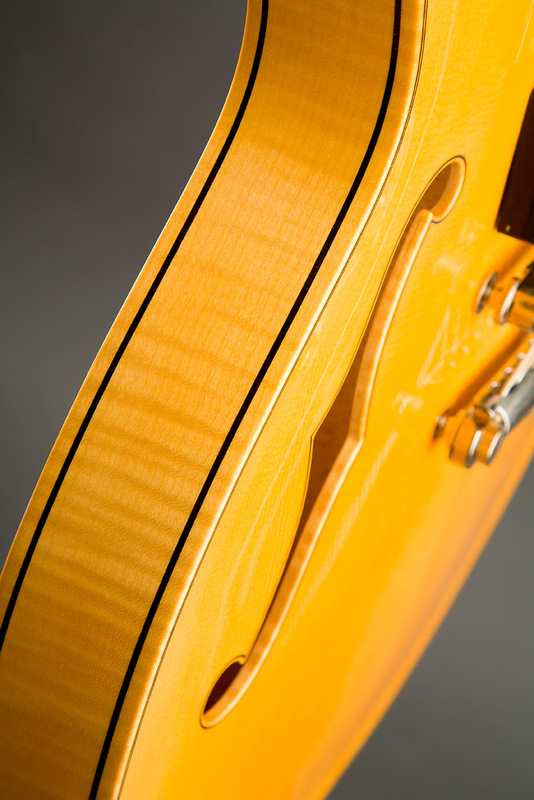 19th fret - 2 1/8" or 2 5/32"
string separation at bridge - 2 1/32"
Bridge - Faber Tone Lock tunamatic with solid brass saddles on posts only, threaded halfway into center block. 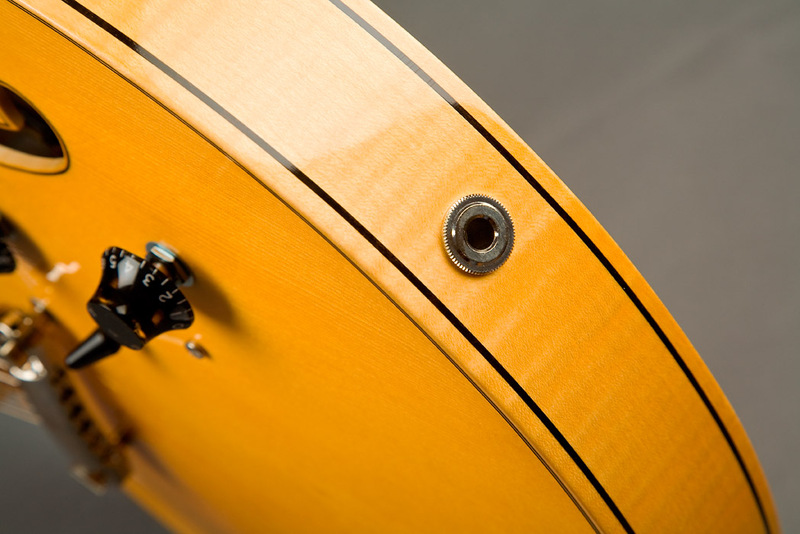 Tailpiece - Faber Tone Lock or TonePros; with aluminum bar.